The Temple House’s restaurants and spa team proudly present scrumptious menu choices and revitalizing treatments to celebrate the upcoming Chinese New Year. 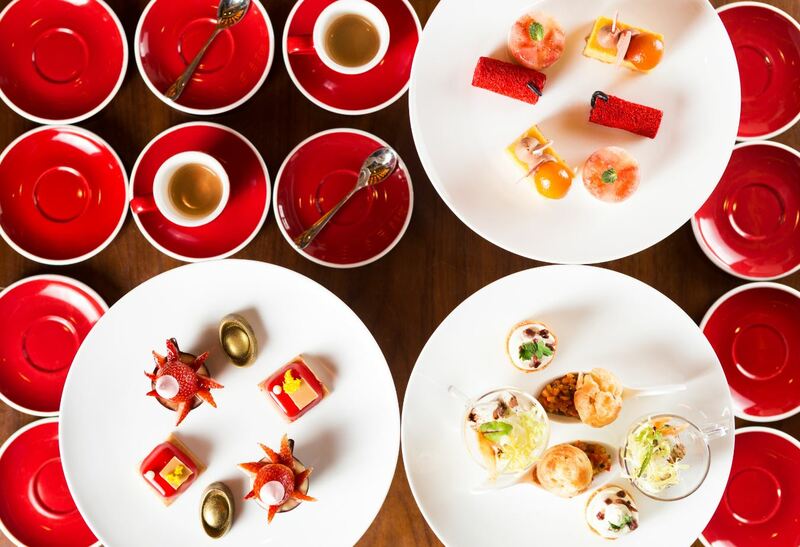 Throughout January, The Temple Café presents a special afternoon tea set that features Chinese New Year elements. Many shades of “rouge” are found on each tier: “Red velvet firecrackers,” “Fresh strawberry tart,” and “Raspberry cheese cake”…etc. From January 24th to February 26th, Chef Jerome will prepare creative French bistro cuisines with a Chinese twist. 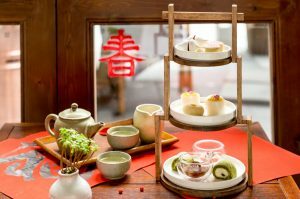 From now until mid-February, guests will find a Chinese New Year themed Afternoon Tea set at MI XUN TEAHOUSE. 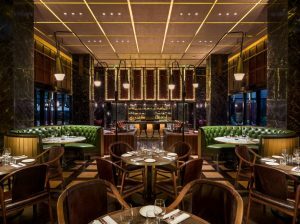 Nostalgic dishes such as, “Rice cake with kumquat flavor,” “Chinese New Year chestnut cookies,” and “Mini rice ball with hawthorn puree,” can be found on the menu. MI XUN TEAHOUSE also provides Chinese New Year vegetarian specials, which introduces healthier options for this festive season. There will also be live Chinese Zither performance from January 27th until January 31st. TIVANO is the best place to share the family-style menu during the Spring Festival celebration. During the Chinese New Year, children can also sign up pizza-making lessons with Chef Paolo. And our in-house sommelier Fei Fei will host wine-tasting classes for the wine-lovers to enjoy a relaxed Chinese New Year in the House. From January throughout February, MI XUN SPA has prepared various packages for anyone to be refreshed and rejuvenated in our spa sanctuary: “Grooming season for men,” “Foot Friendly,” “MIXUN Elements,” and “Mane Attraction.” There is no better way to start a new year feeling relaxed and transformed.